"For the month of November there will be WORD PROMPTS to look deep into your being and reflect on being positive!" Right now I am loving the 'kindness' of our wonderful Arizona weather. I am grateful for the beauty that surrounds me every day. Please click on the links below to see what everyone else is grateful for today. I'd be grateful if I lived there too... I love cacti but I always say I'm going to live somewhere that has palm trees! Neat cacti what are they? I think it's some sort of saguaro. It's in my girlfriend's front yard! Or that one might be the organ pipe actually,....you'd think I'd know this stuff after living in AZ for 30 years! LOL!! Wonderful picture. I'd love to see those outside my back door! It's in my girlfriend's yard down and it is pretty cool! Shel, you are so right. When we arrived home after our drive yesterday, I had a huge smile every time I looked outside. My smile got even bigger when I talked to my aunt who told me it snowed in Pennsylvania yesterday so we timed our departure just right. 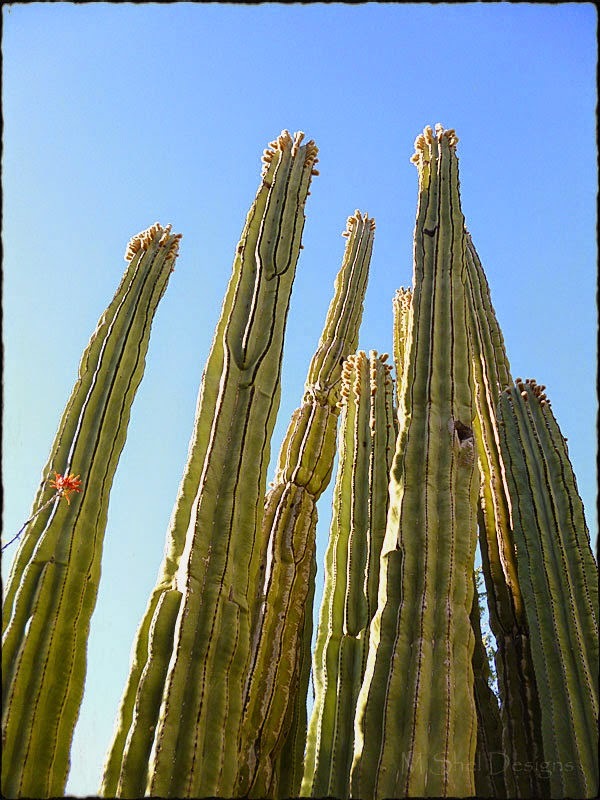 Love your wonderful cactus shot! What a sight! I'd love to have this is my surrounding to.